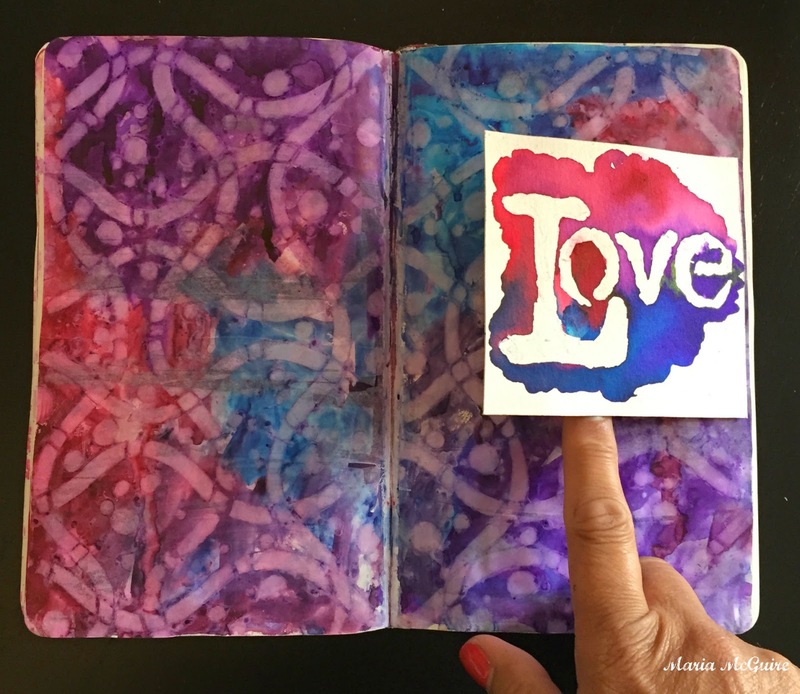 Believe Dream Create with Maria: Color Burst and Stencils YES! Color Burst and Stencils YES! 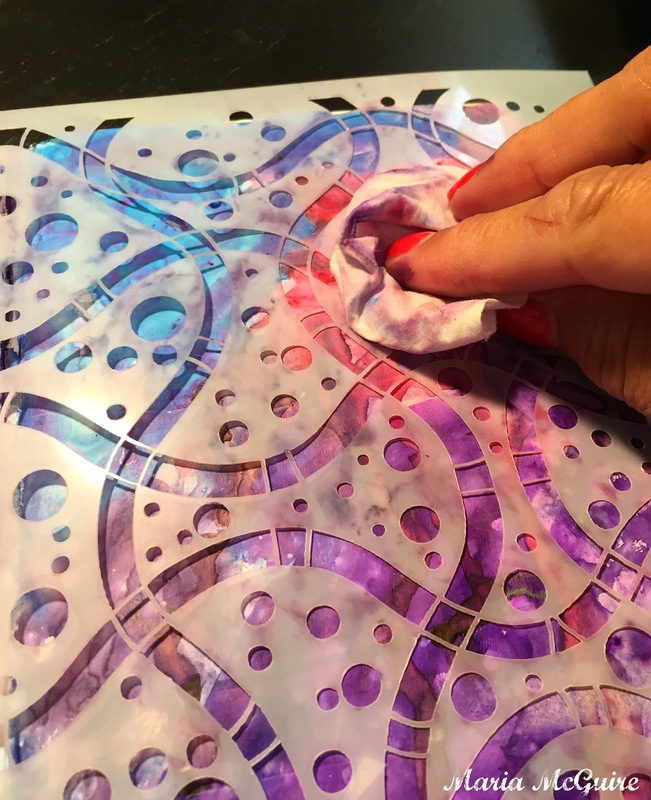 Just popping in with a quick post to continue where I left off with Ken Oliver's Color Burst last week in the StencilGirl Blog Hop. I had so many ideas and was just playing. 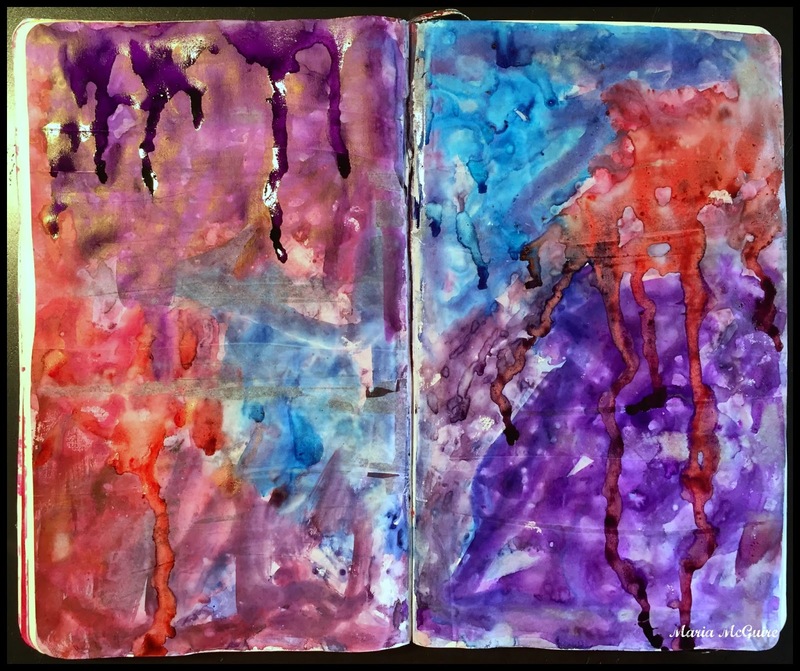 Here I wanted to see what would happen if I used the Color Bursts over a page with gesso on it. I also wanted to use the one piece I had left over from my post HERE. 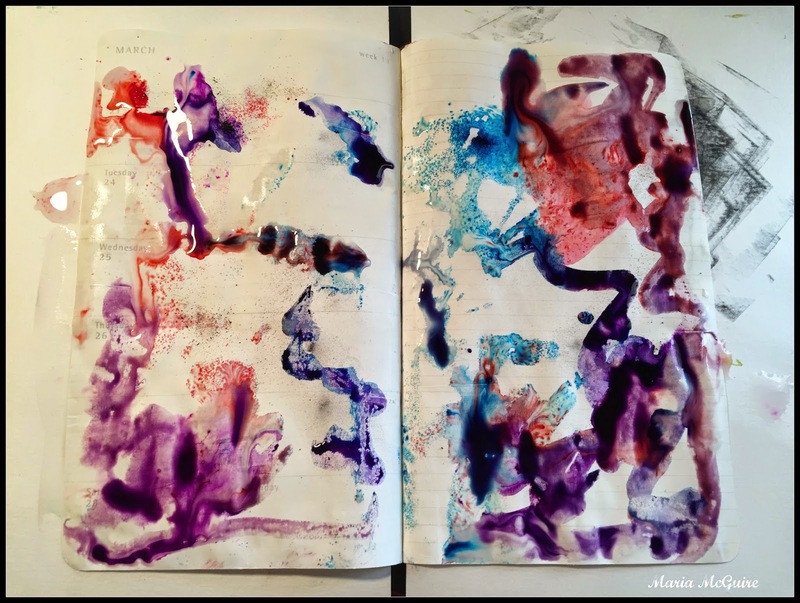 I started in my Moleskine DLP planner wetting the page completely with water. Then I put random bursts of color with the Color Burst. PRETTY! As I said last week, these Color Bursts could be my "go to" travel supply!!!! 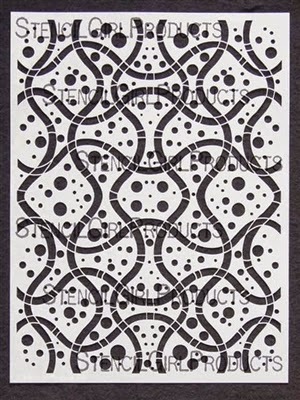 I chose the Ribbons and Circles stencil by Mary Beth Shaw. I let my page dry COMPLETELY and then laid the stencil so it covered my entire spread. Using a baby wipe I wiped away the color showing through the stencil to give me a textured background. The final results......I added the LOVE piece I made HERE with Color Burst and stencils as a tip in to my page. Yes...I think I LOVE Color Burst!!!!!!! Wow! You are on a roll with the Color Burst, Maria! 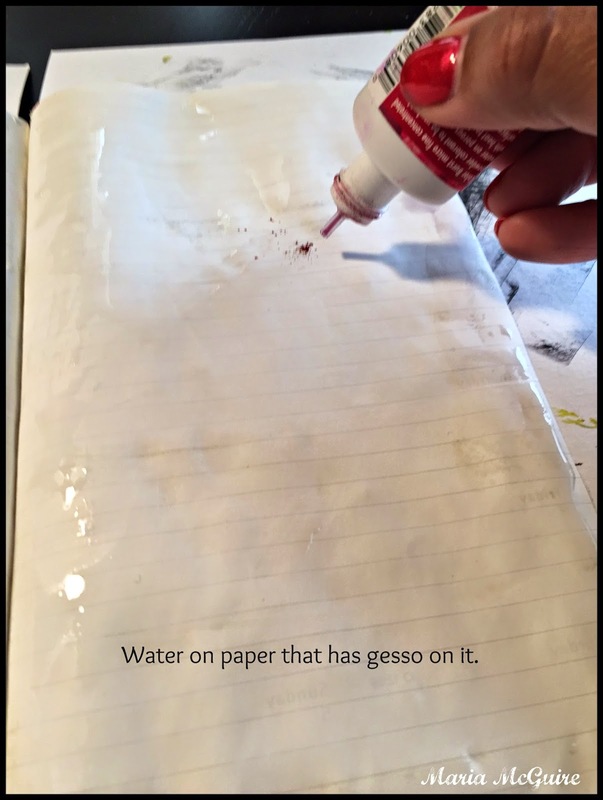 Going to have to try this cool technique! I think one of the best things about Color Bursts is that it comes in this squeeze bottle that allows you to use a little at a time, with precision. Years ago I bought a similar product from the UK -- Brusho. But it came in little jars that you had to dip into, with a tiny tool of some kind. Before that, I used powdered fabric dyes, which were dangerous to be using! So Color Bursts is a great idea all the way around -- and your artwork is, as always, fantastic, Maria! Ooh... yet another great technique that I never thought of! It's good to know you can do this with the Color Bursts! And I agree - they're a great travel supply... light and small with tons of potential! ohhh! color bursts over gesso - how fab. What an easy way to get a fabulous background. They have them at Ephemera Paducah so I will get to play when I am there and can't wait to try this!